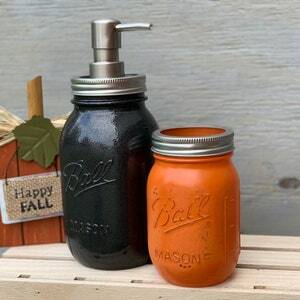 Wondering what ornament you could add to your kitchen to give it more personality. 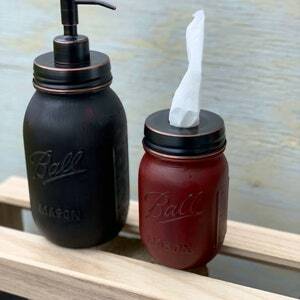 How about new soap dispensers? They’re small but have so much character. 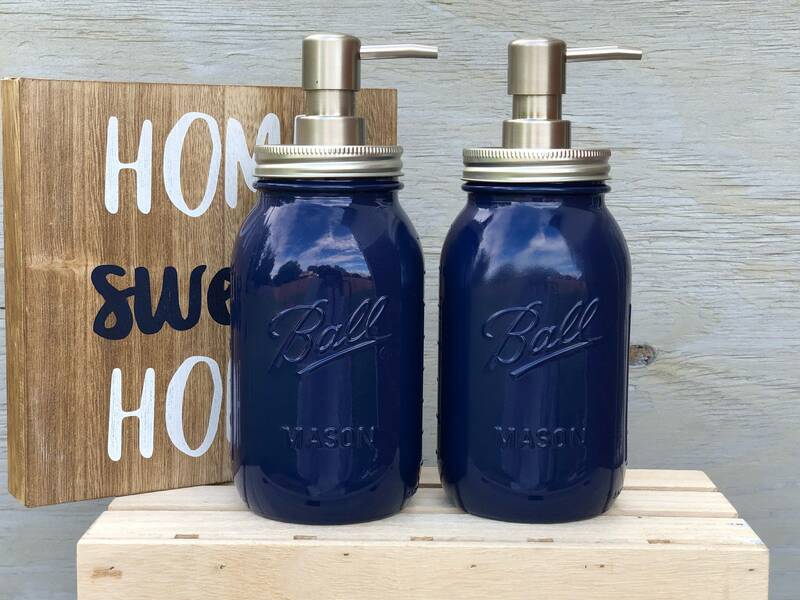 This Navy Mason Jar Lotion/Soap Set adds a classic touch to any setting with a sink. 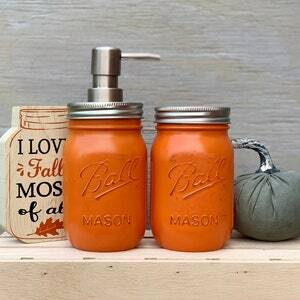 It’s smooth appearance is the perfect tone for any traditionally designed decor from the kitchen to the bathroom. 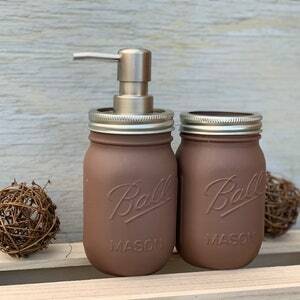 And since all items are made to order, it'll be created just for you. 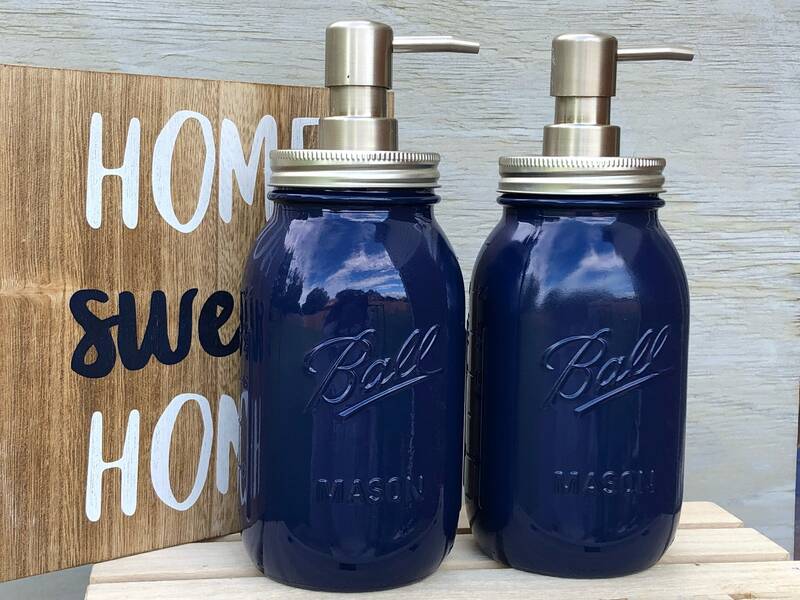 I was searching for navy jars for my boys bathroom..they were delivered to me super fast..however the Mason jars didnt have the ball imprint like the picture. 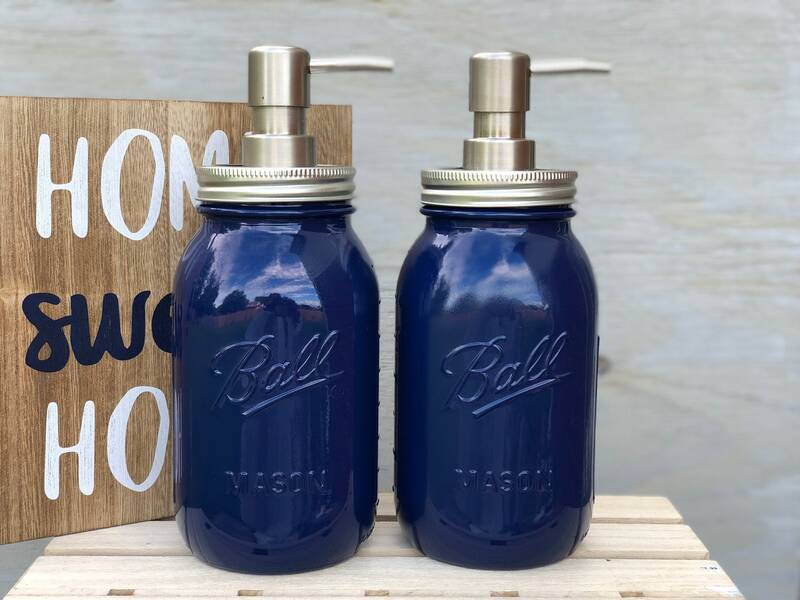 Once the shop found out they reached out to me on their own and sent me another set..exactly like the picture. That is customer service at its finest!! 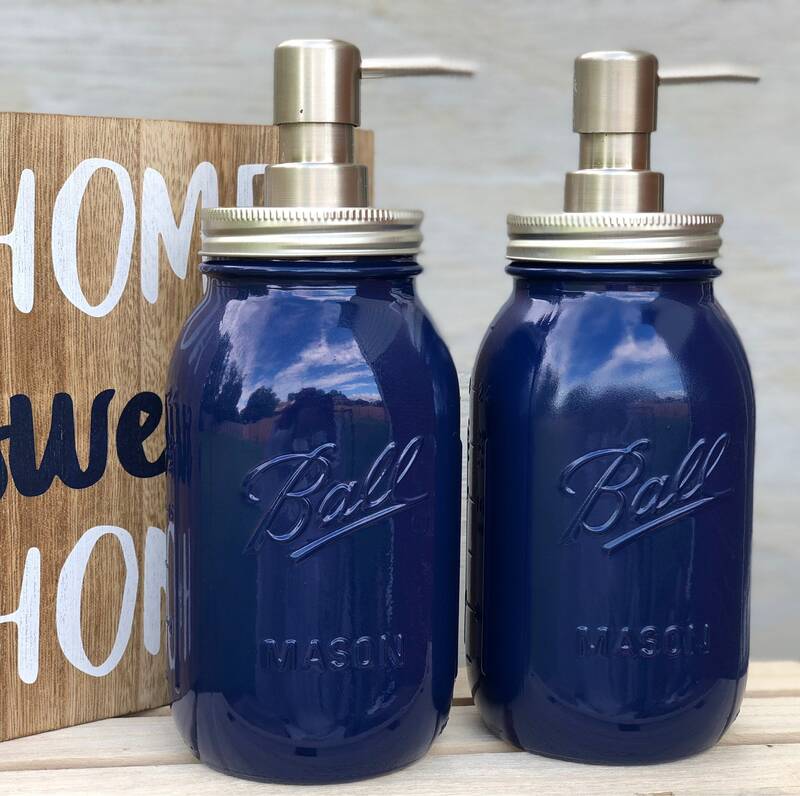 The boys love them and they look amazing in their bathroom! !